Eric grew up on a farm near Summit, South Dakota. He graduated from South Dakota State University in 2004 with a Bachelor of Science degree in Political Science and a minor in Business Administration. Following graduation, Eric worked for Daktronics, Inc. as a salesman to the large sport venue market in Florida which included universities, municipal stadiums and arenas, and spring training baseball facilities. In 2007, Eric moved back to South Dakota to serve as the Executive Director of the South Dakota Association of County Officials. In that position, Eric represented South Dakota’s Auditors, Treasurers, and Registers of Deeds to the state and federal governments. Eric graduated from the University of South Dakota School of Law in 2013 with High Honors. While in law school, Eric was active in the Trial Team, served as president of the Moot Court Board, served as a graduate assistant to the Government Research Bureau during his second year in law school and as graduate assistant to the General Counsel for the South Dakota Board of Regents during his third year. He interned with the Lincoln County State’s Attorney in 2011 and with Cutler Law Firm, LLP in 2012. 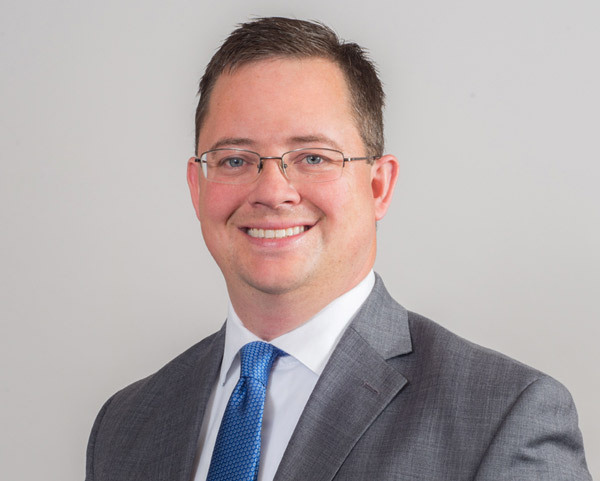 Eric joined Cutler Law Firm, LLP as an associate in 2013. Eric became a partner in January, 2018. Eric and his wife, Hannah, live in Sioux Falls, with their son Henry.